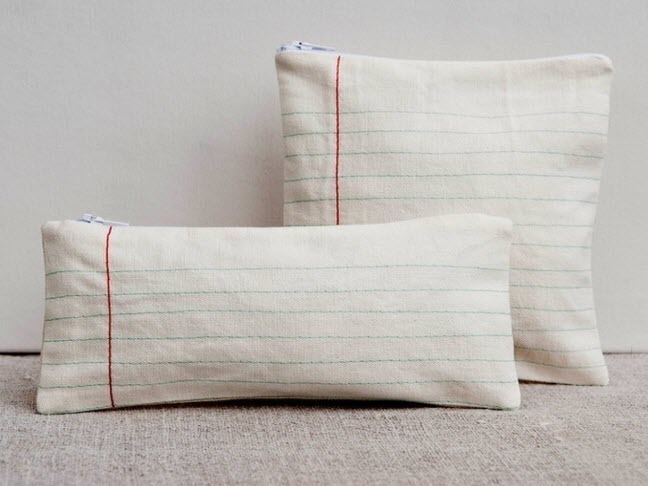 Embroidered canvas imitates school lined paper. 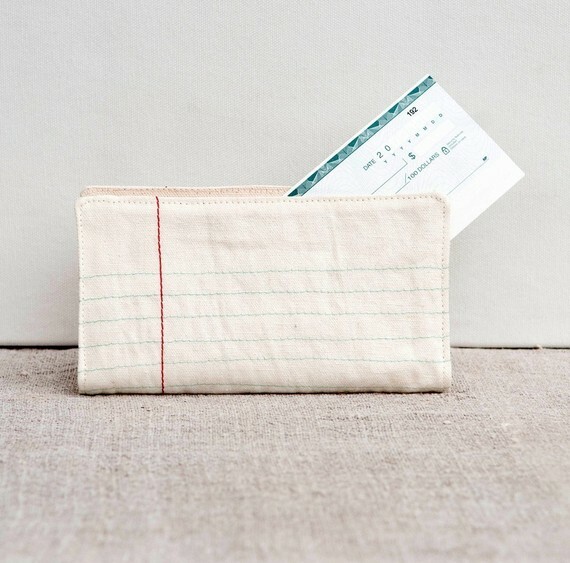 Etsy Shop Pilosale makes wallets,journals,and pouches that are as fresh as spring! 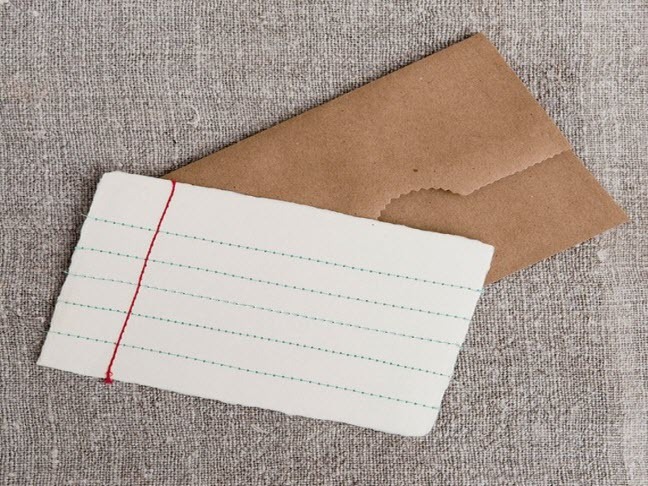 Clever Etsy shop Pilosale put a simple but perfect spin on a line of journals and wallets. The sweet and natural sensibility of this artist has me begging for more. 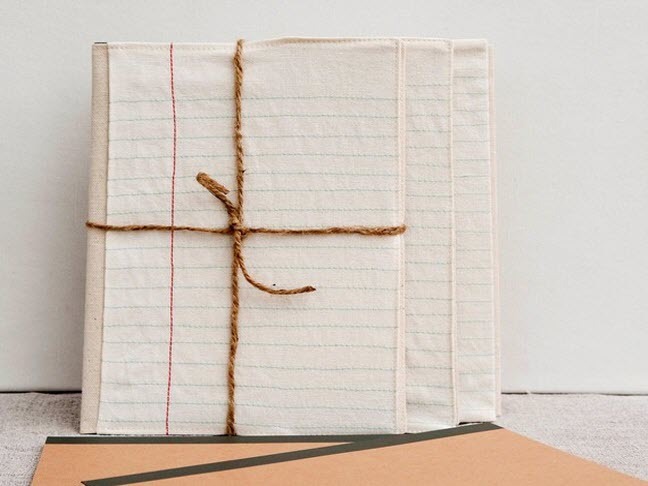 The journal fits nicely into your bag and the cover can be re-used when you have filled it out. You can check out over 35 items in her shop. Pilosale is a new favorite for sure. I am sure you will agree.